What’s in a name? Or to put it fully, what’s in a name and a logo all rolled into one? Businesses small and large need to project a particular image which combines aspects of both name and logo with the goal of instant recognition. Most entrepreneurs establish initial branding for their website and printed promotional materials upon startup, including brochures or business cards, but a few years in, look to upgrade their branding for optimal recognition, or even fully rebrand. The logo is branding’s core. International logo successes include McDonald’s (that wide and high-humped M saying “come in now to be cheaply fed”); Coca-Cola (the swift-looking cursive, reminiscent of the rush you feel after a few shots of ice cold Coke); and Nike (that rounded checkmark as if you’re lunged at the starting line, and just heard the “On your mark, get set, go!” gunshot). And we might not even think about it, but there’s a certain logo which has been around for almost two millenia, used on a daily basis by billions of people. Guessed it? The cross. One long line with a shorter line perpendicular at its top-third, and you have a symbol for a religion’s most basic tenet. Talk about recognizable. Since the logo is the main aspect of branding, and a graphic designer is its messenger, your initial instinct might be to go straight to your designer. But don’t. Graphic designers are not necessarily in the business of marketing – they are in the business of designing. These folks are artists, not business people. So first, define the image you wish to project and then you’ll be armed with possibilities for creativity from a designer for suitable images and fonts. That is the question. Who do you want others to know you as? What services or products are you offering? Who is your target market? What image do you wish to project? Time to schedule a brainstorming session. To get to the heart of a name and logo, ask yourself and your business partners one main question: What feeling do I wish to elicit in my audience about my products or services? This obviously is variable per company, so to give you an idea, here’s a sample list covering many types: Bold? Calm? Feminine? Macho? Hi-tech? Natural? Fast? Antique? Modern? Communal? Independent? Classy? One way to get a feel for how your brand’s logo and name will look is to gaze down a list of font types. You’ll see how each font type elicits a different feeling. It’s a practical way to get started on your options. Tip: You might prefer to give yourself a good few weeks on the brainstorming. Do an hour one day, and then put it aside, scheduling for a week later. The next week, look at font lists, and see what speaks to you. It pays to feel more confident in your choices before going to a graphic designer. Once you feel certain about the direction of your name and logo (your identity, the feeling you wish to elicit, who you’re marketing to and what image you wish to project), it’s time for the graphic designer. Test her out. Ask for at least three samples which are very different from each other and still keep within your description. Using these samples, request feedback from your business partners, a few people in your target market (read: market research), and friends to see how they feel when they look at the logo. Again, take some time on it. By and large, branding is done by a marketer or marketing team, and there are plenty of individuals and firms who specifically specialize in branding. The ideal alternative is a marketing Virtual Assistant who can help you brand your company at a fraction of the cost, and on a very personalized basis. Your VA can be a soundboard for your ideas, perform your target market and comparison research, identify an appropriate design resource, brainstorm with you, and work as a project manager with your graphic designer. Ultimately, your VA’s role is to reduce the many administrative and back-and-forth logistical responsibilities from your slate. Once your branding is secure, you’ll have the springboard to better broadcast your message in order to increase sales from your target markets. Well, yes… but you know, its original usage involved voice-based conversations. And returning to voice-based conversations can, in fact, be surprisingly beneficial for digital marketing. You know that guest posts are an effective way to build links and raise websites in Google. I would like to offer you a guest post with quality content that has not been published anywhere else on the internet. I will put two links in the text going to our site. Needless to say, it goes in the proverbial round file. But even the emails that are well-written or personalized: there are so many of them; you don’t have much time. Very few end up being seen, opened, let alone leading to a response. And then comes the phone call. Your phone rings and you jump to pick it up. After a minute or two of chatting, Jane tells you that she has an idea for a post and thinks it would be perfect for your audience. Tell me… how much better is Jane’s shot at getting a guest spot than the 2nd, 10th, 30th email of the day? People respond to people. When you send an email, you are not a person. When you call, and they hear your voice, and you have some semblance of a real conversation – presto chango – you become a real person. 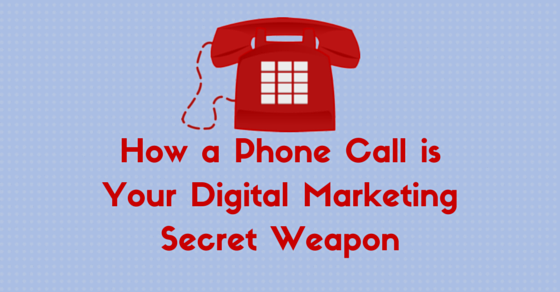 Now, it’s ironic that I’m instructing in this way, because I personally detest cold calling. I will do a lot to avoid cold calling, including rationalizing about how really sending an email is better, more efficient, and how – oh, no! It’s too late to call; I’ll have to call tomorrow. But I have seen time and time again that when I finally get up the courage and call – it’s worth it. The response is better than had I sent an email. Even when the answer is no, the response is better; had it been an email, you probably wouldn’t even have gotten a no. You would be stuck wondering forever if your email had gotten lost in internet limbo. So next time you’re about to reach out and touch someone’s inbox with an email, and you have the sneaking suspicion that your email may never be seen, do yourself a favor. Find their phone number (hint: it’s usually above the email on the contact page), and pick up the phone. Given that we Virtual Assistants aren’t normally hawked in a State Faire booth by some loud-mouthed, greasy-haired announcer proclaiming that “This handy little device slices, dices and crawls on its belly like a reptile!” – you may be trying to figure out what, exactly, we can do to enhance your business. This is especially pertinent, since we do not cost “One thin dime, one tenth of a dollar!” Before you write that check, know how the power of the human tool, the ability to delegate to a Virtual Assistant, will take your business to the next level. Writing to clients; answering emails; phone calls to clients, suppliers and service providers. Scheduling appointments, booking meetings between multiple parties. Just show me your style and let me run. Posting on all your regular sites, plus coming up with the post material and keeping track of retweets / friending / answering questions, playing the game. Thank you gifts for referrals, holiday season cards. Finding a venue, a/v equipment, refreshments, nametags and other logistics to make your event shine. Daily quote, checking statistics, updating photos, headlines, and on your website. Including whether you prefer chicken or fish, window seat or aisle. Pricing, potential partnerships, local statistics, trends, competitors, and more. Your blog, articles, grant proposals, email drafts, correspondence, and anywhere you put pen to paper (or fingers to keyboard). I promised you a Why. That part is easy. Sit back a minute and put your feet up. Make yourself really comfortable. Now, close your eyes and imagine how much you would be able to get done – how much your business could expand – if only you could concentrate on the raison d’être of your business and leave all the associated, peripheral tasks in the dust. That’s Why. Research is one of the most popular responsibilities to outsource to a Virtual Assistant. While you might know what topic you’d like researched, it may not be the best use of your time to get your hands dirty searching for the nitty gritty details. You just need those details, and you need them fast. Thus, as with any task or project that doesn’t require you personally, it makes sense for you to hand it over to your Virtual Assistant researcher. Professors assign research to their graduate students for books they intend to publish. Sales managers ask administrative assistants to list top companies in a particular field as prospects. Executives enlist office managers to document pricing and feature comparisons for everything from printers to staples. Online research has become a part of everyday life, as Google is now the default portal for information gathering (“to Google” is actually used as a verb nowadays.) Take any topic you need further information about for a client or a presentation, or any matter you’d like to pursue for best practices, or any list of what’s-out-there-already to determine your next steps. Delegate the research to your VA, and voilà, you have the info you need! Tip: As with any task assigned to a Virtual Assistant, it’s often advantageous to work with a VA whose time zone is a sleep-block of time ahead of yours. This way, you can assign the task before you go to sleep, and wake up in the morning to documented, categorized research results waiting in your inbox! 1. Do you recommend particular resources to get acquainted with the field? Knowing what’s already out there can give the researcher a feel for the field. The VA can soak in some background and sort through data from these recommended sites, pulling out what’s relevant, and leaving the rest behind. 2. Who are the big players in the field? Many times research is performed to assess the current state of a field, often comparing the competition. Knowing who the big names are provides solid “go-to” information on the subject matter at hand. 3. Do you have contacts you recommend to be in touch with as guides in the research? Sometimes, the answers to the above questions will not yield the research results you’re looking for. That’s because (surprise, surprise), in fact, not everything is Google’able. Therefore, it’s often best to speak to people (yes, live) in the field, as those with an insider view can give your VA particular sites to check out, or different resources to read. Virtual Assistants are aware that research tasks can be sensitive, and sometimes confidential, especially when following up directly with your contacts. The VA will work alongside you on whom and how to approach on a personal basis. 4. How many hours would you like dedicated to this research? Based on the above answers, the time allotment helps determine the level of research breadth desired. And you can take it in stages, allotting a few hours each time and then decide your trajectories each step of the way. 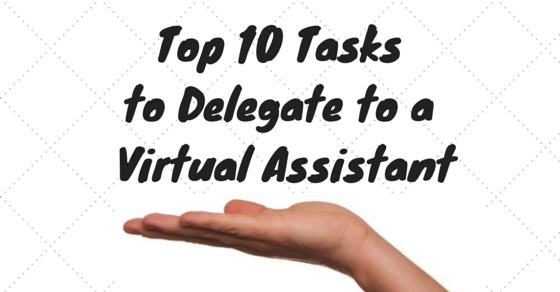 So go ahead – do a “brain dump” and delegate all those research projects out to your Virtual Assistant. You’ll be freed up to get higher-level work done while the research is being performed, and you’ll be armed with better information once you receive the results, making your next moves all the more productive. Not to mention, Virtual Assistants often love research projects since it’s a way to delve into a new body of knowledge – a surefire “win-win” all around. Don’t those words sound like magic? A group of people just waiting to hear what you’re about to say – your latest words of wisdom from your blog, your innovative product offerings. An email list is “Call us!” When site visitors opt to sign up for your email list, they are awarding you a direct line of communication to them. If you don’t have an email list, you’re letting visitors drift without offering them a way to stay in touch – that’s a shame. What a missed opportunity. Today we’ll discuss how to remedy that. 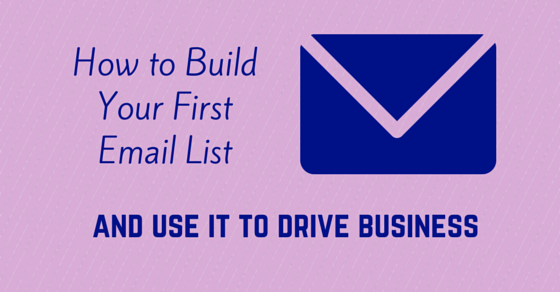 How to get started building your email list – your captive audience. Step 1. Sign up with an email list management system. Some have free plans (Mailchimp and Madmimi) and some have free or low cost trials (Aweber and Constant Contact). I’ve personally had experience with MailChimp and Aweber. Both were easy to use, but in the end I went with Aweber because it lets you create multiple sign-up forms for the same list, and the stats seemed better. With free plans and trials, it’s worth a little bit of investigation to see what works for your business. Step 2. How are you going to motivate people to sign up? Your amazing content, of course! Won’t they want to sign up to get all the latest blog posts right to their inbox? For one site I managed, that was the default way of getting subscribers. They could subscribe to the blog via Feedburner, and some people did. The number vacillated…never really taking off. And then it took a drop. Hmmm…. What did I do? I wrote a content rich, free, downloadable e-Book based on some research I performed among people who fit our ideal client profile. The topic was something they had expressed interest in, and it was a short, succinct 8-page special report. There was a sign-up form to get the special report on the homepage, on the blog sidebar and also a full page form that I linked to from my email signature and bio when I guest posted. The payoff (for the visitor in exchange for their email address) was getting this free special report – they would, as a side benefit, also be signed up for our tips and posts via email. The result? Many, many more sign-ups. In fact, people still register today, about a year since I stopped managing the site (and no one has touched the site in the meantime). So take some time to think through this. What free gift would entice your ideal client to sign up? An e-Book on a particular topic? A recording of a seminar? A how-to guide? Webinar? What do your potential clients need? Step 3. Create your subscribe form. All email management programs (the one you signed up for – be it aWeber, MadMimi, ConstantContact or MailChimp) should have form builders. Make it both visually appealing and conceptually appealing. Use words that will motivate your potential subscribers – tell them what they’re going to gain from your free gift and updates. Test different versions of your subscription form to see what works best – this handy guide and video from the Blog Tyrant can help give you ideas. When you set up your email distribution list, think about how you’re going to deliver your free gift to your subscribers. Usually, a link in the first automatically generated response to any sign-up can take the new subscriber to a page where they can view, hear or download your gift. Step 4. Keep those emails a-coming! Hopefully you have subscribers signing up at an alarming rate – or at least a reassuring one. If that’s not the case, don’t panic. Just keep tweaking – the form, the free offering. No one ever said that there’s anything wrong with trial and error. Once you do have your subscribers – make sure you keep them. Keep sending quality content (not advertisements!) genuinely helpful to them. Personalize the emails and email subjects with the recipient’s name (there’s usually a field for that in your email management programs). Dan Zarrella’s webinar on The Science of Email Marketing has some great, data-analysis-based tips on when and how to send your emails – well-worth a look. Make sure the majority of your emails contain a call-to-action. Yours can be commenting on the blog post, registering for a webinar or signing up for another one of your offers. Keep them interested, keep them engaged, keep them involved.